Agata Doszczak was born on March the 20th 1999 in Nowa Sol. In 2006 she started to learn the violin with Beata Golemberska MA in the Grazyna Bacewicz State Primary Music School in Nowa Sol. 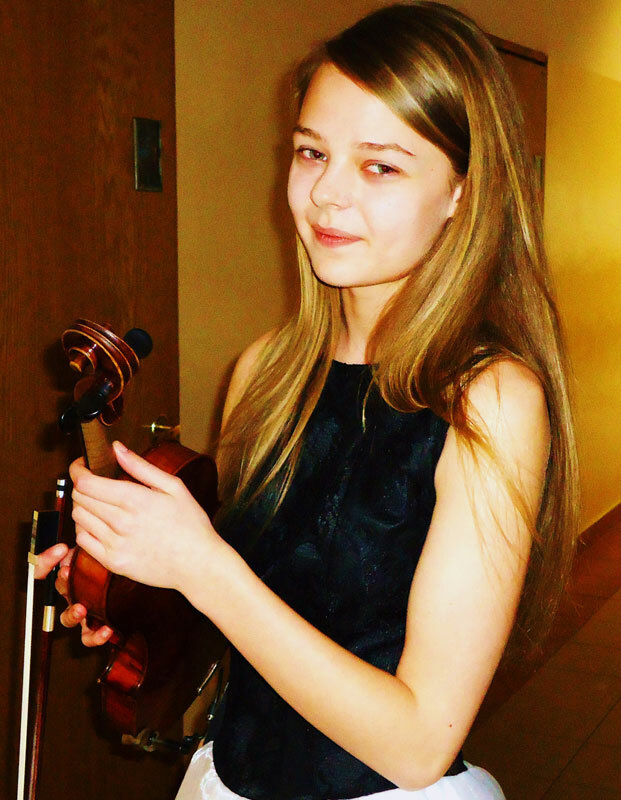 Since 2012 she has studied violin with Prof. Marcin Baranowski and Jan Romanowski MA at the Henryk Wieniawski Secondary Music School in Poznan. She participated in master classes in Marianowka, Glucholazy, Legnica, Baloszyce, and Kolobrzeg. In the years 2010 and 2012 she received the City Mayor Award. She was also awarded scholarship by the Marshall of the Lubuskie Province in 2011. Presently she receives scholarship of the Artistic Education Centre 2011/2012. In 2012 she performed as a soloist of a Symphony Orchestra at the Zielona Gora Philharmonic. In 2012 she was admitted to the European Youth Opera conducted by Miloš Krejčí.